What's The Best DTG Printer? What is the best T-shirt Printing Machine? So it seems that you have been searching for the Best T-shirt Printing Machine or maybe a shirt maker or shirt printer. Regardless we are happy you came to our page. You have probably come across The Term DTG Printer on your search. Well, that's great because that's what we are going to talk about. Today we are going to take you through a lot of different information about these machines. Everything from price, maintenance, support and more. A DTG Printer is a t-shirt printing machine that uses inkjet technology. The Term DTG actually means Direct to Garment. Direct to Garment Printing is self-explanatory. The machine prints Directly on the shirt or other apparel. These machines actually can print on more than t-shirts. They can print on t-shirts, hoodies, onesies, koozies, socks, shoes, hats, Wood, There was also one that was printing pictures on cakes at one point. Thes machines produce High quality, Full color Printing. They are capable of printing High resolution quality images. Having one is necessary for any shirt printing business. If your custom t-shirt business is producing screen prints you can make so much more money with dtg and Heat transfer vinyl as perfect add-ons. All you need is a digital Heat press to lay down the fibers on the shirt and cure the ink. We recommend using a heat press machine but you can also use a conveyor to cure the ink. They are not used for transfer printing or a digital transfer. This is not a transfer machine. These are industrial and commercial printing machines that are made for garment printing. What is the Best “DTG” Direct to garment printer? What is the best Dtg printer? This is not an easy question to answer. It can depend on a number of things. What are your business goals? What might be best for your business may not be the best for another’s business? When it comes to these DTG printers there are facts you should learn before making such an expensive business decision. Honestly, these are things the manufacturer will say. The truth is it depends on your budget and your shop space. Below are some of the things you should study and find the facts on before purchasing a printer. The custom t-shirt industry growing and you do not want to get stuck with a paperweight. Let's find out what is the best DTG printer for Dtg Printing. We actively use both Brother and Epson Based DTG Printers. Below is one of our Brother GT 381 Printers printing a customers shirt. This is a video of two of our Brother DTG Printers printing in action. Prints both light and dark shirts? These are just a few of the main questions I would look for when making a decision on a DTG printer. Maintenance is something that you should be very aware of. Some of these machines require quite a bit of maintenance. Some less than others. Does the machine have white ink recirculation? Are there mandatory Ink flushes to keep your warranty? These ink flushes can get expensive. The cost can be around $100-200 a month just on maintenance. How long can you leave the printer on standby without printing? The majority of these printers if you leave a day without printing you will have major issues with your print head clogging. Some of the manufacturers advertise that you can leave for up to a month without printing. Also depending on the printer, every day after printing you should be cleaning your wiper blade and maintenance station. Ink cost should also be a huge factor in your decision of the printer that you choose. 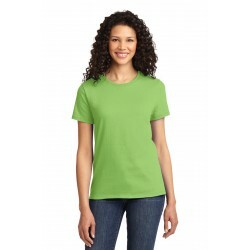 That can make or break the price that you would feel comfortable selling your t-shirts for. Print speed is something else that should be very important in your decision. Some of the printers advertise the ability to print as fast as 20 seconds a shirt. Some may take up to 5 minutes or longer to print a shirt. Some of the more production-grade printers are advertised to print 300 shirts per hour. When it comes to customer support for these dtg printers the best way I can explain to you is that the situation can be something like buying a used car. Before purchasing the car the salesman will be very nice answering all your questions calling you back, guaranteeing you stuff that will simply not be true. Their job is to simply sell you this machine. It is a good Idea to first check the BBB which 90 percent of the time still won't be accurate. Also, check online reviews. There are online communities where you can also get real user feedback. I like to call and ask to speak to someone in technical support. That is where you will see the true company that you are dealing with. A lot will give you attitudes or may be very rude and short with you. If your warranty ends or even if something goes wrong within your warranty. Remember these are the people you are going to be dealing with when something goes wrong. Also how far are you from their repair center? If you are in New York and the company is in California that is a long way to send your printer when you are not able to solve your problem with phone support. Shipping cost can also be expensive almost $800 before your machine even gets looked at. Another thing is will this company sell you all the parts that you may need? Some of you may know or have the ability to fix the machine yourself. How old is this printer? How long will parts be available for this DTG Printer? These are All good questions to ask. Look at the software that comes with the machine. How much freedom does this program give you with your ink settings will it print what is on the monitor? All customers’ graphics will be different. This will mean you will need the ability to make adjustments in a rip software. Some software rips are better than others. You may also want to find out if there is an after-market software rip. Some printers do not have the ability to print white ink on custom t shirts. Without that ability, you will not be able to print on dark garments. The white under base goes down first on dark garments. Then the CMYK will go on top giving you the end result. Also to print with dark shirts, you currently need to use a Pretreatment on the shirts before printing white ink. Some of the more expensive printers have a pretreatment process built into the printer. 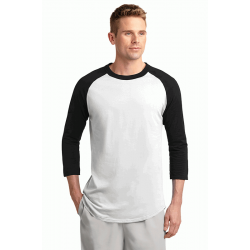 You will normally need to manually spray the t-shirt with something like a Wagner paint sprayer or purchase another piece of equipment that sprays an even coating onto the shirt. The Wagner sprayer works good and can be an inexpensive choice. This process will make or break the print quality of the shirt so it is important to have an evenly sprayed t-shirt with just the right amount. Too much pretreatment may cause your image to be washed off. Too less and you will not get a good quality print. Learn more about the best dtg pretreatments and how to wash dtg printed t-shirts. There are a couple of differences between these printers that separate them big time. Epson Based printers are usually desktop printers that photographers use to print photos. The Print engines are usually removed and installed inside a shell with some new electronics to control the platen. The usual choice of ink for Epson based printers is DuPont's garment ink. There are other printer inks that can be used with Epson print heads but DuPont has shown longevity. For the most part, all of the Converted Epson based Printers will print the same speed and Quality wise. The difference will be the larger print engines such as the 4880 and 3880 and some use the smaller 1900 and 3000 print engines. There are more print engines such as the Epson New P600 but we would go on all day about this. Epson has Also released its own DTG printer. The Epson F2000 and F2100 which uses Epson very own ink. Which produces great quality prints. Brother built its DTG printer from the ground up. They have their own line of inks also. It is one of the more expensive inks between all the other printers. Inks for the GT series are around $634 a liter, compared to DuPont inks that are around $150 per liter. The GT series also has a print head for every color. The GT-381 has a total of 8 print heads. The cost for each print head is $1295 each. The good thing is that Brother DTG makes one of the most reliable printers on the market. The resolution is not as high as the Epson based printers but they still produce Great Quality Prints. The highest dpi is 1200x1200 and also has a faster setting at 600x600. Richol recently purchased Aanajet which has the MP5i and MP10i and Sprint. Both the MP5i and MP10i use Richol print heads. Both printers still use Dupont but it uses one of Dupont's new Formulas. It is supposedly more Vibrant. There are other manufacturers that also use Ricoh print heads along with this new Dupont ink. Another printer is Belquette's very own Gynesis that is scheduled to be coming out this late 2016. I went to the SGIA trade show in Atlanta and I must say their demo was very impressive. Of course, there are some more Printers feel free to add in the comment section and I will update. Kornit is the manufacture of few industrial dtg printers. They are also one of the most expensive printers on the market. When it comes to the cost of ink it has one of the cheapest priced inks. It also has one of the faster Print per hour ratios. Some of the faster models print at speeds up to 600 prints per hour. They have their own Spectra Piezo Electric print heads and also use their own NeoPigment Ink. When we first wrote this article From my own personal experience viewing comparisons, I would say that the Epson F2000 produces the better-looking prints when it comes to DTG Printers. Now its up for grabs, the New Brother GTX has released a new printer that is awesome and has a whole new set of inks. (UPDATE) The Epson F2100 has just released and promises even better print quality. 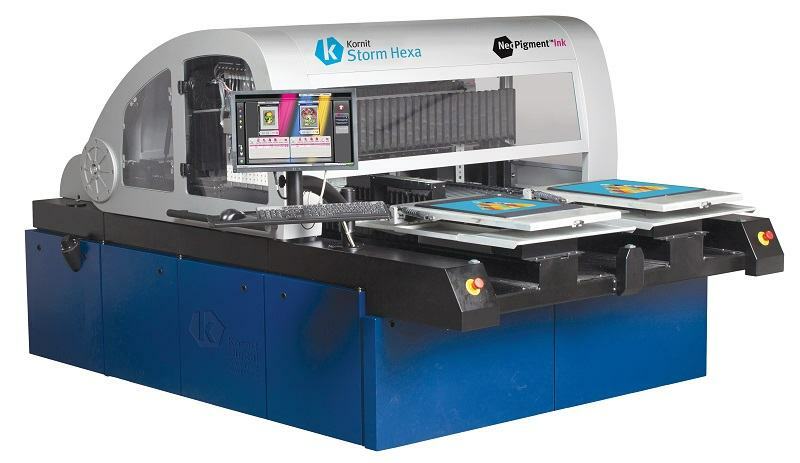 Again Based on my own personal experience viewing the Kornit DTG at a trade show. It was one of the fastest DTG Printers I have seen. I Beleive they have a printer that can print up to 500 shirts an Hour. The Kornit saves a lot of time by pretreating inside the printer and then printing directly on it. You will then use a conveyor to cure the ink instead of using a Heat press. I recommend taking the time to go to a trade show and viewing these printers for yourself. The experience I had was pleasant. Let me know what you guys think or if I am missing anything in the comments. Currently, Epson now has two dtg printers. Epson SureColor F2000 - The first is called the f2000. The print quality from these printers is amazing. The inks are more on the expensive side. Unlike other dtg printers, you must use the ink that is also manufactured by Epson. Also, the maintenance of these machines is more on the expensive side. Just maintenance the bill every month from cleaning is around $125-$150 a month. If you are looking for a great machine to put in a kiosk in the mall then this machine is for you. It is not a printer that you will want to offer low prices with. You should plan on selling t-shirts for at least $19.99 to $30 each with this printer. Epson SureColor F2100 - The newest Epson printer Just released on 1/18/2018. It is said that it is faster and does not waste any ink during maintenance. You can find more about the newest Epson printer in this link. The Epson Sure Color F2100 Dtg printer. Anajet has several printers on the market. Anajet has recently been purchased by Richol. The F125 - The F125 is one of Anajets oldest dtg printers that can still be found floating around. Overall the printer was a good dtg printer to start with. It is Epson based, meaning it was transformed from an Inkjet Epson R1800 printer and made to print on apparel. The inks that are used in this printer are Dupont inks. This printer is good for running small runs but not recommended by us if you are printing 100's of shirts a day. This printer is not currently in production anymore and parts may soon not be available. This printer prints not only cmyk but white ink also. The Anajet Sprint - The Sprint is an upgrade from the F125 and is now based on the Epson R1900 inkjet printer. Just like the previous version it uses Dupont Inks and has a couple upgrades. This printer is also not in production anymore and parts may soon not be available. This printer prints at a speed of around 10 - 20 white shirts an hour depending on the size of the image. 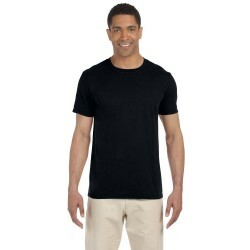 Around 5-10 dark shirts an hour depending on the size. The maximum print area is 12.5 x 16. It weighs around 90lbs. This printer prints not only cmyk but white ink also. The Mp5i - The Mp5i is one of the Anajets most common printers today. They are upgraded from the original mp5 and recently had another upgrade since Anajet was purchased by Richol. The Mp5i prints a little bit faster than the Anajet sprint. The maximum print area is 14 x 18. It weighs around 180lbs. This printer prints not only cmyk but white ink also. The Mp10i - The Mp5i is basically the same exact printer except it has double the print heads for a total of 6 print heads. This printer also prints twice as fast as its little sister the mp5i. It also has the same print area and it weighs a little more. The Ri 100- a small desktop dtg printer that comes with a dryer that is mounted underneath. This is not a printer for high production but if you want to print on white t-shirts and are limited to space and money this may be a good option for you. Current price is around $4,999. The Ri 1000 - You can say this printer is here to take the place of the Anajet sprint. It is not as fast as the ri3000 or ri6000 but it cost a lot less and has the capabilities to print both light and dark color shirts. It comes with rip software and you also have the ability to change the platens. The brother series consists of multiple different printers. The Brother GT-541 - This printer is built to last. All across the internet, you will find lots of great reviews. Some saying "this printer is a tank. The downfall of this printer is that it only prints CMYK. That means you will not be able to print on dark shirts. Brother also sells its own ink which means it is more expensive than other garment printers on the market. You should be prepared to sell your shirts at a higher price. The Brother GT-782 - This Printer is the upgraded version of the GT-541. This printer prints both white ink and CMYK. It has dual platens. You will be able to print two shirts at the same time. The Brother GT-341 - This is one of Brothers newest printers. It is a new series of printers that has a great reputation. This printer only prints CMYK. This printer has platens available that you will be able to use to print the Converse Chuck Taylor style shoes. They have a 16 x 18 print area. It also comes with a 2-year warranty. The Brother GT-361 - This printer is just like its other version except that it prints both CMYK and white ink. It has all the great features of the GT-341. This printer has 4 CMYK print heads and 2 white ink print heads. The Brother GT-381 -This printer is just like its other version the GT-361 except it has 4 white print heads instead of 2. This, of course, will increase print speed and durability. The Brother GTX - This printer is one of brother newest printers. It has 2 print heads white ink circulation and a wet cap station. It was shown printing dark shirts at around 1 minute 30 seconds. You can learn more about what we have to say about the New Brother GTX Printer here. Learn about the Brother GTX. Omni Print has a few different model printers. Below is an image of the new cheetah printer that we saw back in 2018 in Las Vegas at the SGIA Show. Coldesi produces the dtg M2 an M4 and M6. They also have recently merged with Belquette the producer of the Mod 1 and Genesis. Take a look at the link above to sell and buy used DTG Printing Equipment. You can also list your business to be apart of our fulfillment network. Listing your business under fulfillment allows on us and other companies to call on you when we are swamp and need to outsource some of our work. It's always a good feeling to have a reliable printer beside you either in school or office. I'm glad I got the best one. If you want to get the best one, topproducts.com is the website that reviews a broad range of printers. Check em out! What is the best image quality DTG printer machine for t shirt? I would say I have seen the Epson F2000 print some beautiful prints with no hassle. All of them should be able to achieve similar results but you may need to tweak the settings to get the right colors. Kornit has horrible customer service. They charge outrageous prices because they have innovative technology. But they don't stand behind their products. I am sorry to hear that. I know they recently sold some of their printers to Amazon and Disney. Did you have issues with your printer? Thank you for sharing this useful information. If you want best results then you need to use your printer regularly because if you do not use your printer regularly then it creates many problems and some times it is the cause for printer fail. You need to follow some kind of the techniques like you can upgrade latest version for the Epson Printer is a Multinational company. We provide to all the solution Printer error. Any issues regarding help with 24/7 hours Epson Repair Center.